Ooh la la Wonderla – that’s exactly how you’re going to exclaim by taking up numerous rides at this wonder park. Spread across over 30 hectares of land, Wonder La has been one of the most famous amusement and water parks near Bangalore. Situated at Mysore Road, it is easily accessible from the main city as you drive towards Bidadi, and is generally crowded over weekends. Splash around the water rides like wave pool, vertical falls, and rain disco and play pools or simply lie on tubes on the lazy river. If you prefer land rides, you can buy tickets for them separately. For the less enthusiastic, a laser show or musical show should work just fine. As you can see, there’s something for everyone. Lockers, children’s play area and restaurants are some of the important in-house facilities. 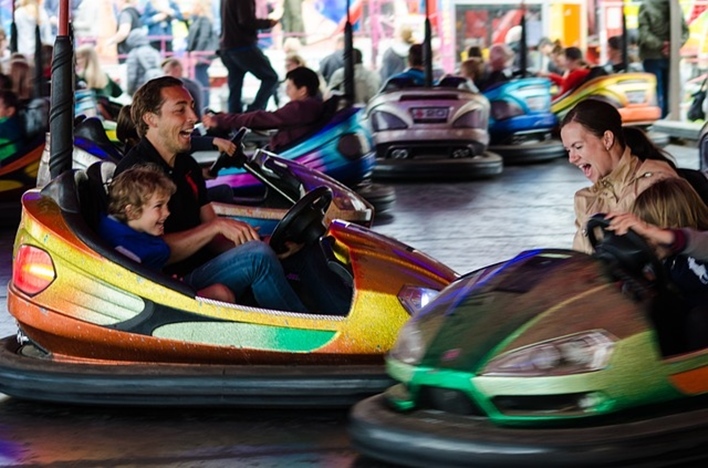 This amusement park has nearly 50 rides for all age groups. Spending a day at this park is totally worthwhile. Situated at Hosur Road close to Bangalore city, this is one of the oldest amusement and water parks near Bangalore. Not just amusement and fun rides, this park also features a gaming zone, amphitheatre, food court and restaurants. As wholesome family getaway, the park has a number of water rides as well. While there is a water slide and chute for the water babies, there is the video game zone and bouncing castle for children. Innovative Film City, as the name suggests is a theme park at its creative best. Housing a wax museum, rides, installation and cartoon city, it has designated sections for different activities. Adopting a holistic approach to entertainment, the film city also has the Ripley’s Believe It or Not, a mirror maze, horse riding area, aqua city and more. Located about 40 kilometres away from the main city, it is totally worth the drive. A few hours will just go by in a jiffy at this creative space. 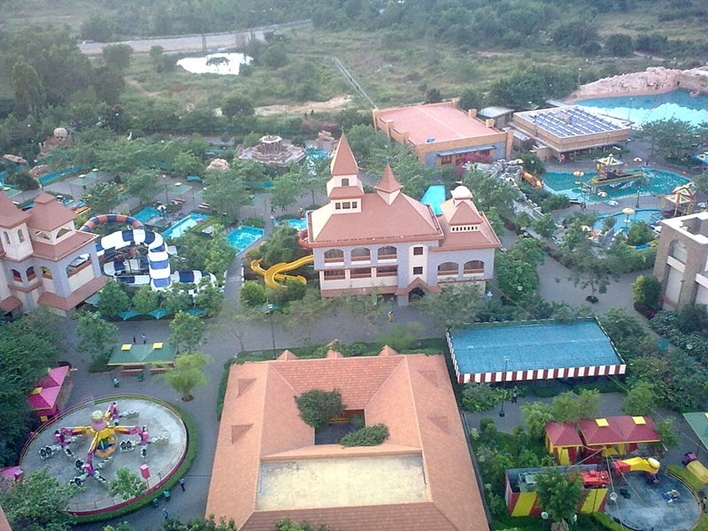 It is one of the most innovative amusement and water parks near Bangalore that one could think of. A rather upcoming and seemingly popular destination amongst the youth and middle-aged alike seems to be Lumbini Garden on the banks of Lake Nagawara. The main element adding spark to this park is the presence of the gorgeous lake. Rides like the trampoline, Columbus, rodeo and break dance have taken the youth by storm, while wave pools and boat rides are alternate means of enjoying the lake. Whether you want a quiet boat tour or a noisy ride, you find it all under one roof. The garden boasts of numerous eco-friendly initiatives as well. 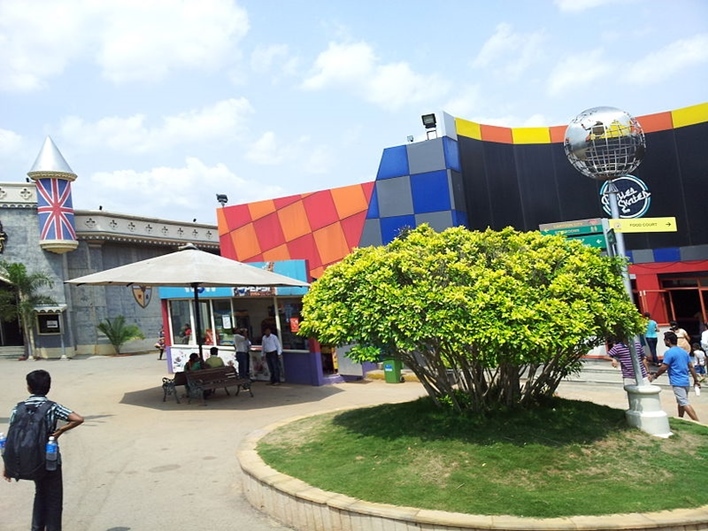 The list of amusement and water parks near Bangalore is incomplete without mentioning GRS Fantsasy Park, situated in the State Highway of Bangalore-Mysore spread around 30 acres of space. Having both land and water based rides; a day spent here is nothing short of a fantasy indeed. Besides the usual ground rides, it has an open food court, a virtual ride area, children’s zone and play area, washrooms etc. Facilities like changing rooms, lockers and medical kits are also available. Be sure to visit at least one of these amusement and water parks near Bangalore, next time you visit the city.